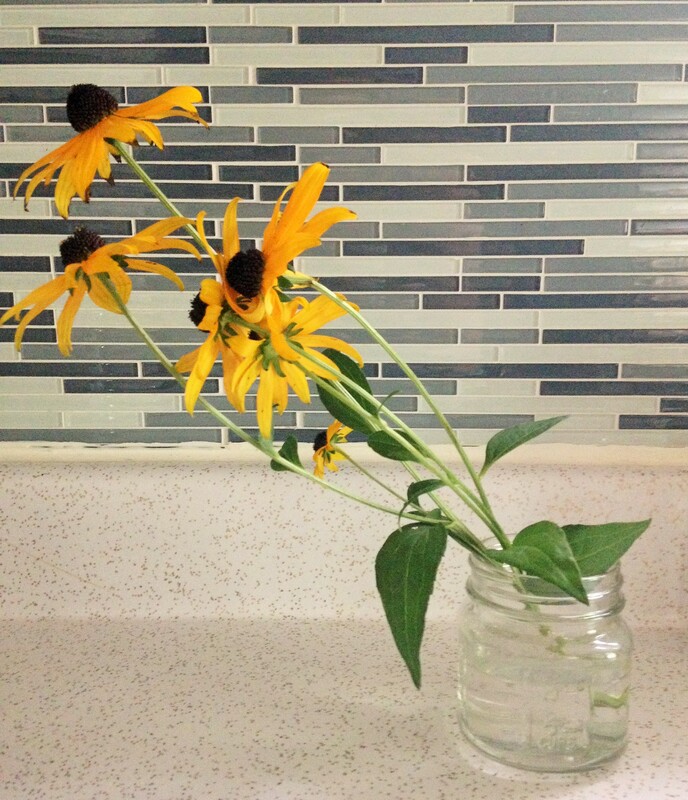 Black Eyed Susans are a member of the Rudbeckia family. Personally, I love the sunny look of them, but they are serious about spreading. I had one little clump started in a sunny spot; and now, I have about 7 clumps throughout my garden. Seed is often moved about by birds and wind. 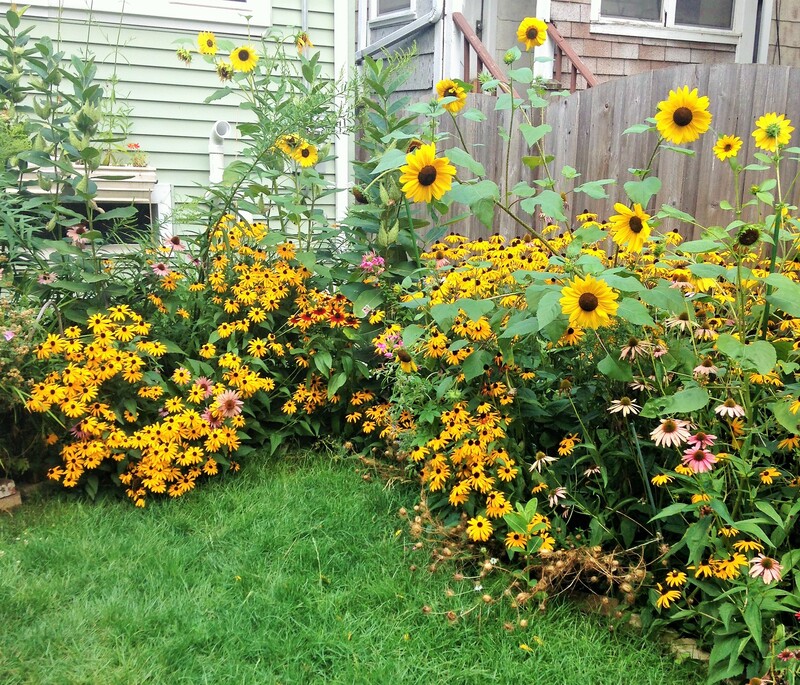 I don’t mind too much, but if you plant Black Eyed Susans, be prepared to thin them out. They will crowd out other plants. Black Eyed Susans are a biennial, meaning that the first year, they leaf, and the second year, they flower (There is some indication that they may flower the first year if the plant is started from seed early in the growing season.). These North American wildflowers are great at attracting pollinators. Deadheading after the first bloom often gives way to a secondary flower bloom in the fall. Black Eyed Susans are prone to some powdery mildew and leaf spot. Keep neem oil handy to spray once a week or so (always in the early morning or later evening) to keep the plants healthy. 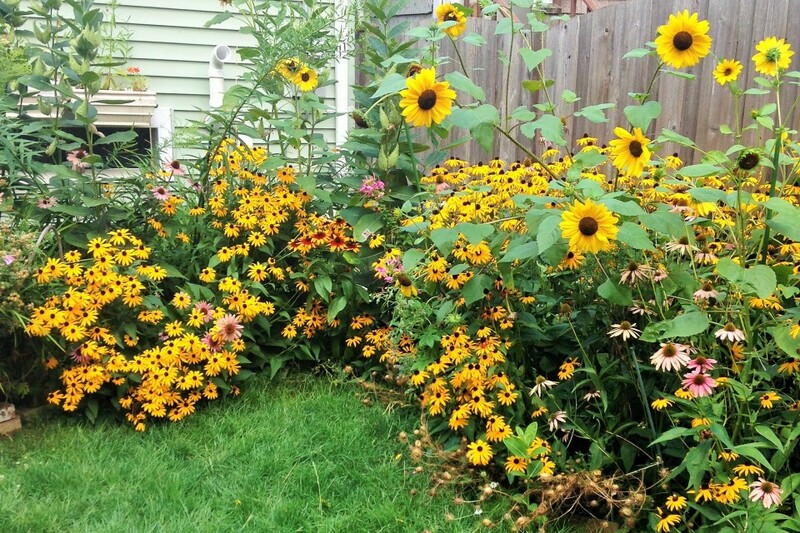 Black Eyed Susans are a good rehabilitation plant for sites that have been disturbed. After wildfires, Black Eyed Susans are often one of the first plants to rejuvenate the burned land.